Home » Tips & Tricks » How to Make Car AC Colder? How to Make Car AC Colder? I am sitting here at a traffic light during Delhi’s summer heat and I am thinking how can I make my car AC colder? I mean, my car ac blows cool but not cold. I am sure everyone wants their car air conditioner to work at its best, especially during scorching heat. The most obvious ways I could think of that time to improve the cooling was to get the AC gas refilled and get a new cabin filter. The gas (liquid refrigerant) takes care of cooling. And new cabin filter will allow the AC blower to have free-flowing passage. Are there any car AC additives? How can you cool down your car quickly? 1) Job of Compressor: As the name suggests, the compressor compresses the AC gas to convert to fluid and pushing it through the refrigerant line. Since the system is pressurised in this area, it’s called “high side”. 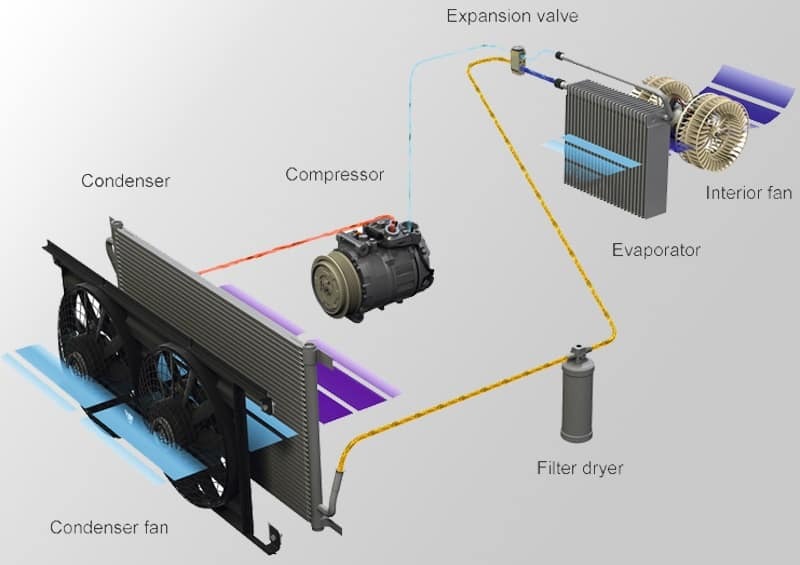 2) Job of Condensor: Condenser is a radiator-like heat exchanger that helps cool down the refrigerant as it’s heated during the compression cycle. In the condenser, the refrigerant passes is cooled by air that gushes through the condenser. 3) Job of Expansion Valve: Expansion valve is a restriction in the pipe. This separates the high pressure and low-pressure areas of AC system. As the liquid refrigerant passes through this valve and enters the low-pressure area, it turns back into gas. 4) Job of Reciever | Dryer | Accumulator: In the gaseous state, the refrigerant enters the dryer. This removes the moisture from the refrigerant. 5) Job of Evaporator: Now, the dried cold gas is passed through the evaporator. The evaporator is the only component of an AC system that’s installed under the dashboard. This AC Fan then blows air through the evaporator core to cool down the hot air. This air is then blown into the cabin through air vents. The heat exchange is completed and the refrigerant continues back towards the compressor to start the process all over again. Wonder why your car AC is not cooling like it use to? 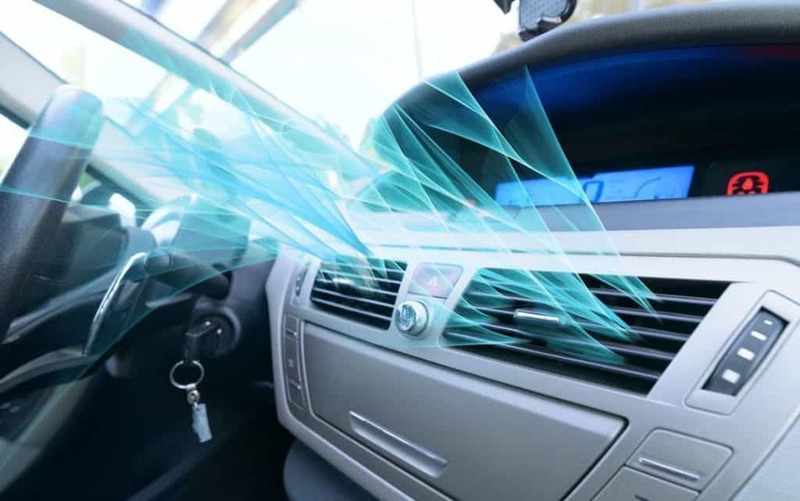 Now that you have learnt about how car air conditioner actually works, you must have already got some ideas to fix it. 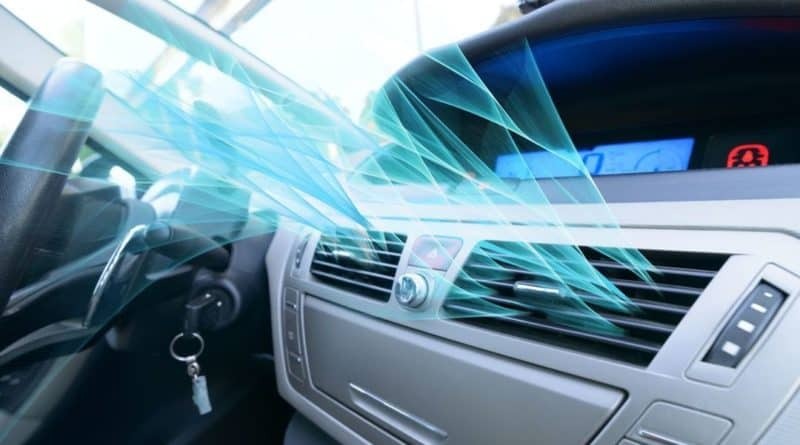 Here are some things you need to check when your car’s air conditioner is not cooling effectively or your passenger say that your car AC is not cold enough. 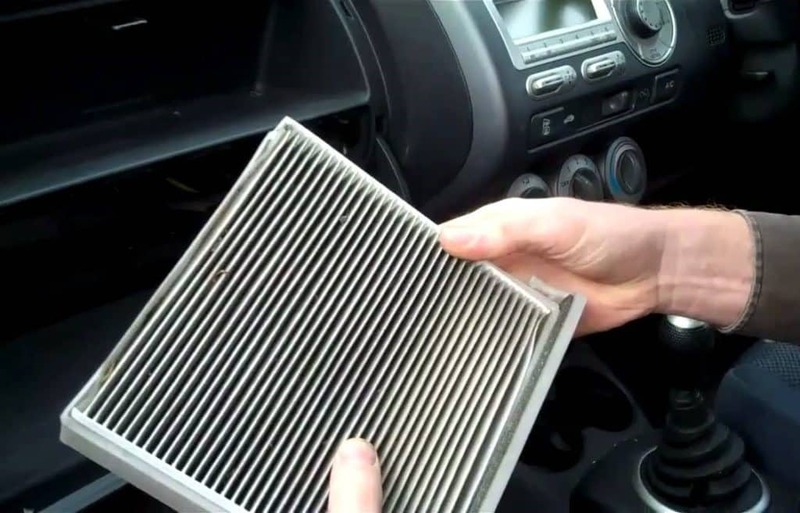 1) Clogged cabin filter: This is the first thing you should check as it’s also the easiest to do. The cabin filters cleans the air flowing into the passenger compartment. Some of them even have anti-bacterial properties. However, over time, they get clogged up, especially if you drive in a dusty environment. It’s generally located under the glovebox area, so inspect it and replace if it looks dirty. They are quite cheap. 3) The refrigerant or Compressor have got old: Just like everything on a car, there is wear and tear on the AC system also. The refrigerant or ever compressor can wear out over a period of time. When this happens, it gets difficult for it to turn to gas from a liquid state. This results in less effective cooling. First, try with replacing the refrigerant (R-134a Freon) but if that does not fix the issue then get the compressor checked by a technician. 5) Faulty Compressor Clutch: The AC Compressor has an electromagnetic clutch. This clutch engages and disengages the compressor to maintain proper refrigerant pressure in the system. 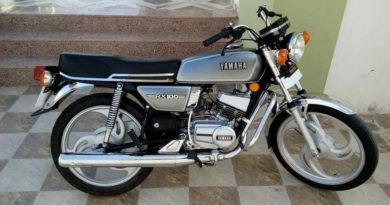 You might have noticed that when you put the pedal to the metal, the ac compressor clutch disengages. That’s why it’s recommended to drive smoothly for proper cooling in summers. But sometimes the clutch is so worn out that it can’t function properly. When this happens the compressor won’t be able to push freon gas through the car AC system. Adjusting the clutch might solve the issue but it’s recommended to just replace the AC compressor clutch. Nowadays, there are many additives available for the air conditioner system. These are basically added to the refrigerant to revive it. But can it fix the year’s worth of wear and tear? According to a number of claims on the internet, I found out that they do seem to work pretty well as most said that it made their car ac cold again. Adding these additives basically removes a layer of oil that gets collecting in the coils. This collected oil hinders the heat exchange and reduces cooling. You should definitely try using AC refrigerant additive, also called “AC SRA”. I found an SRA on Amazon with some good reviews- Check the latest price. 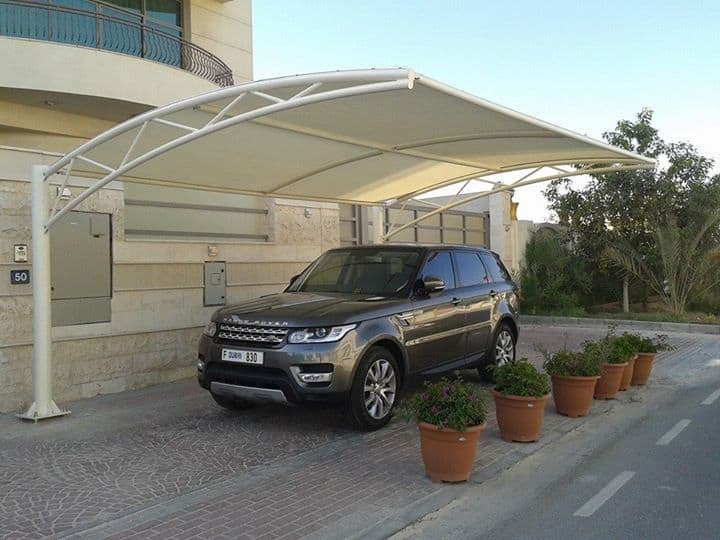 1) Park under a shade: Don’t let the cabin get hot by parking under a shaded area. You might say that this is quite obvious, but we often forget to do it. Buying aftermarket window shade or curtains is also a good idea. 2) Adjust the air vents: There are multiple AC air vents in a car but do we need them all when we are driving alone? Off course, you are better off just using the driver side and centre ac vents. Switching off the passenger and rear ac vents will considerably increase the air flow in the driver’s area. Also if you have dual zone climate controls then that can also be adjusted to optimize the cooling. 3) Clear out the hot air from the cabin: When you get in a hot car, you need to try and remove the hot air from the cabin. The best way to do this is to crack the windows (Open sunroof also if you have that) and run the AC with outside ventilation. Switch back to the recirculation vent mode after the hot air is released after 2-3 minutes. This is the best method to use car air conditioner settings. 4) Drive smoothly: The car AC unit runs off of the engine itself. In some cars, when you put the pedal to the metal, the AC compressor does not get enough power to pressurize the system. Yes, the air will keep flowing at the same rate but it won’t be cool. For effective cooling, you should drive gently and smoothly without straining the engine for more acceleration. 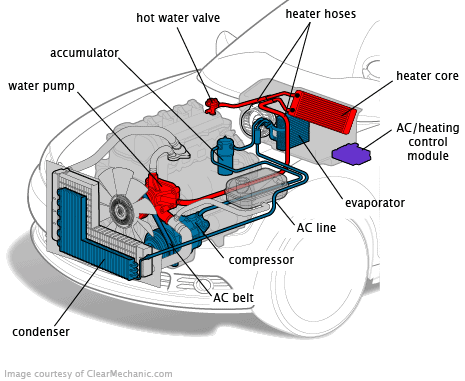 After going through this article you must now know ins and out of the car air conditioning system. Airconditioner is a pretty neat solution hey. It might go bad sometimes on us but I know that I can live with it during summers and I keep trying ways to make it super cold. If you followed these steps, you won’t say that the car AC is not cold enough. Even if you think that your AC is working fine, you should definitely try some of the tricks mentioned above. I highly recommend replacing the cabin filter at least. 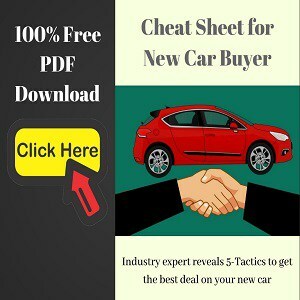 Let me know in the comments if this article helped you in fixing your car ac. Let us know in the comments if you think we missed something. How to make Car A/C Colder? Having your AC working at its peak during summers is a blessing. But sometimes it just doesn't cool as effectively. I discuss what you can do to have chilled experience if your car ac blows cool but not cold.